Cat outdoor enclosures give cats a safe place while letting them enjoy the fresh air and sunshine only available outside. They can be attached to your house or freestanding. They can be elevated and be attached to a window. They can be made so the kitty can go outside when you want, but come inside at will. The Jewett’s started Safe Kitty, building cat enclosures 12 years ago, keeping them busy, in addition to their full-time jobs. Candice retired from Unum and Mike just retired this spring to spend more time on the business. 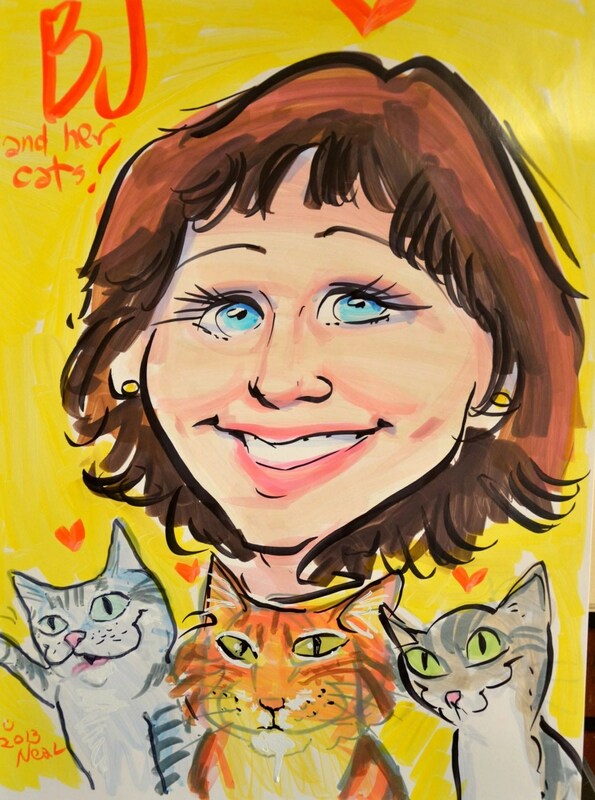 For years, the Jewett’s have been helping cats with physical and medicinal problems – heart problems, leg amputees, irritable bowel syndrome, to name a few. Right now, they have 9 cats, and 2 dogs. ‘Many of our felines are shelter cats, several with special needs, and as much as we want to give them the freedom of our rural environment out in Buxton, we realize that each time one goes out the door, he or she may never return,’ Mike said. The concept of an indoor-outdoor enclosure began to take shape in early 2002, when Southern Maine experienced an unusually warm spring. The cats spent most of their time on the windowsills sniffing the fresh air and watching the birds. They wanted to come up with a way to let them move freely between the indoors and outdoors while remaining safe. ‘We spent months sketching possible ways of letting our kitties get some outdoors yet still be protected from the danger posed by fishers, coyotes, fox, or even stray dogs’, Mike said. 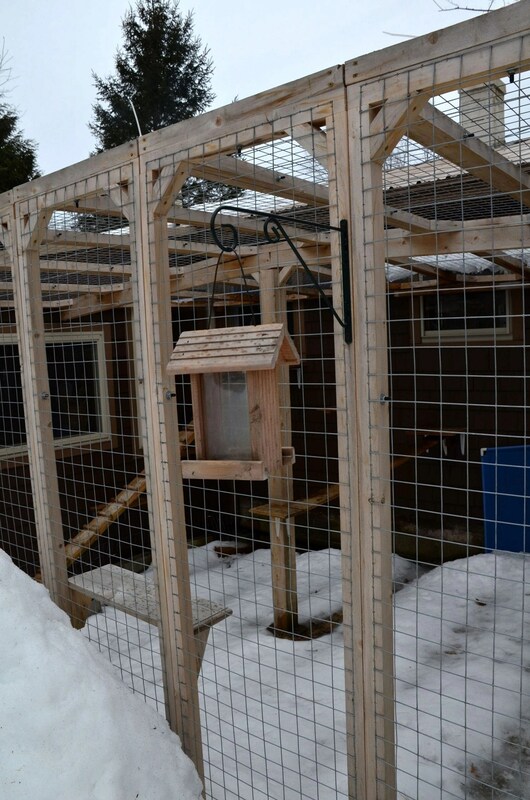 The cat outdoor enclosures, made of sturdy wood and wire mesh, can be on the ground or elevated. They are made out of Maine White Cedar, a native wood famous for its natural rot resistance and durability. Each sale benefits a local animal shelters, who they say do a wonderful job taking care of and finding homes for unwanted pets. A portion of each cat enclosure sale to the shelter of our customer’s choice. He had one so the kitty could just walk out through the window, and enjoy the sunshine. ‘When we were married my wife came with a cat. I love cats and dogs.’ They also have a designed the home for the dogs, with a pet door leading from the house to a pen in the garage, and then another doggy door connecting to a larger 18 by 26 foot dog pen. 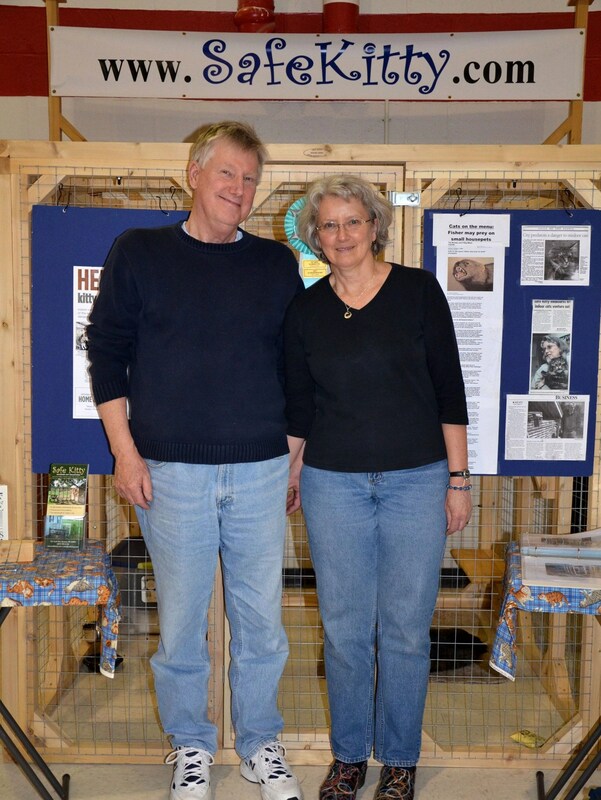 Located in Buxton, Maine, they sell cat enclosures and ship them throughout the country. Paws’ met them the NauTICAts Show in Augusta, ME, a few years ago. Since then, we’ve learned a lot more about the need for cat enclosures. 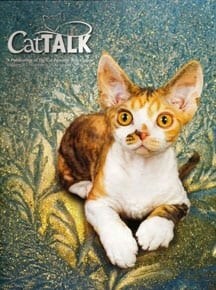 For one, it keeps kitty out of harms way. For another, it keeps them from straying into the neighbor’s yard. And it keeps the kitties from preying on birds. Check out the Jewetts’ Safe Kitty. They really are a great couple, with a wonderful mission. 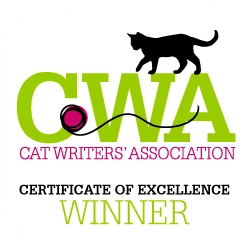 Do you have special enclosures of fencing to allow your cats to be safely outside, or do you open the windows, and let your cats enjoy the fresh air from the safety of inside your house. Please weigh in on the discussion and share your thoughts. Great topic. I have always wanted a cat enclosure but my Mr do-it-himself has never had time too. He keeps promising someday. I’m hanging onto this info, maybe I can go this way with it. For now kitties are inside. Nothing like making it happen this year. The kitties would be very grateful.